This article is dealing with present negative trends on Serbian capital market. Those trends are seen in a way that the current bad situation can be anticipated as an opportunity. The process of revitalization must encompass a lot of different subjects and make the balance of their interests. The need for changes is obvious but how to make it is a challenge that is discussed in the paper. The particular measures, that have to be incorporated to make the market deeper and wider, are analyzed thoroughly. How to change the situation where the public companies are rushing to become closed and IPOs of new ones do not exist? What is our capital market policy and how the harmonization, of our legislation and practice, with EU rules is affecting market participants? How to build the capacity and independency of Serbian Securities Commission and its relationship with Ministry of finance make more efficient? How to open the door for new participants and new instruments such as municipal bonds, green and social bonds and other debt instruments? Do we need IPO of state enterprises? Dilemmas and answers linked to those questions and some other, make the substance of this article. Guerrero,Tomas (March 2013), ‘Frontier Markets: A World of Opportunities’,<http://ssrn.com/abstract=2245075> 02.03.2017. Black,Bernard (2001), ‘Legal and Institutional Preconditions for Strong Securities Markets’, 48 UCLA Law Review, s.781-782. ISNAD Dedeic, Predrag . "Serbian Capital Market: Quo Vadis". 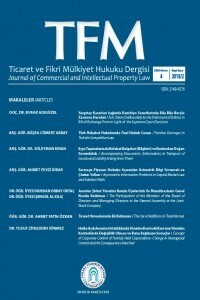 Ticaret ve Fikri Mülkiyet Hukuku Dergisi 3 / 2 (May 2017): 41-46.